You are so good with those programs! The skullette is fabulous! 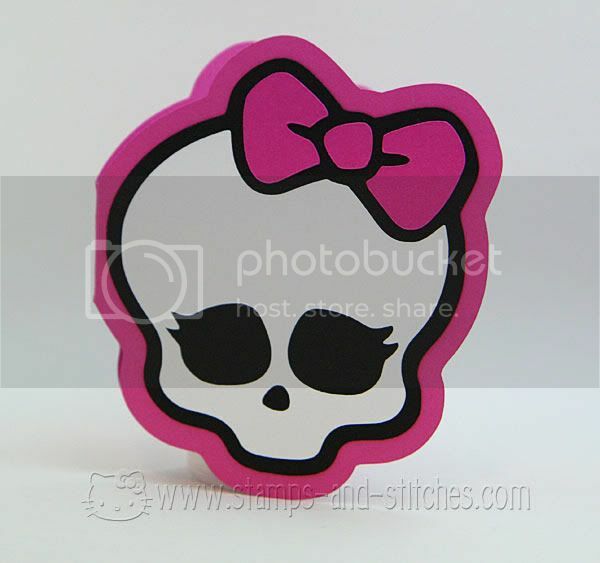 Its so adorable and cute. 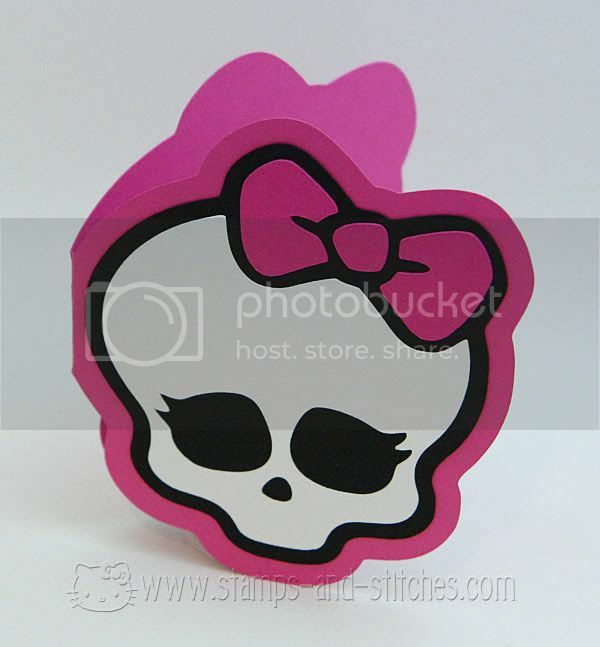 Your skulletee card is adorable! I love the pink and black together. So creative and cute! Love your blog! Now I really need to get make the cut!! My niece LOVES!!! Monster High. SO cute!! TFS!! Take Care!! Just bought a silhouette cameo today. I will definitely be following your blog! Thank you for sharing this your invite is super cute.